@omgsosorry how is that karma? Did you even read what I wrote there? Go Google karma first boi. @yasper left clicking on the screen prompts "remove gracefull hood" everywhere so it wont allow pickups. It's fixed with newer version of RSPeer. Hey, I have used this a lot and for the most part I love it. My only issue is that when the character is looting - it seems to click on an item, then click on another item before reaching the first item. It results in looking like the character is heavily lagging - however I am sure it will increase detection. Nah, it may seem that it is clicking something else but not to worry, it's actually clicking only the item it is supposed to pick up. So which was it? You posted in minnows script thread also, that you got banned. You probably used some other botting client also to bot your accounts. The bot seems to be dropping everything it steals regardless of setting. Any idea how to fix this? 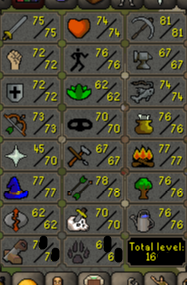 Use PickPokket script at the moment - that one works and supports Master Farmer in draynor.